Shiel is completely new to me Nigel many thanks. What a great cover that is - and congratulations on resisting a Hendrix reference! 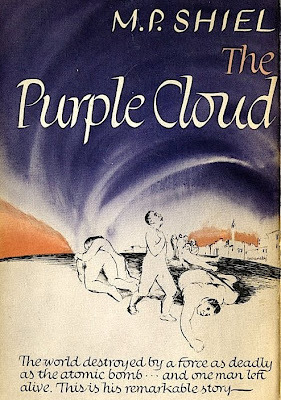 Can I plug the Tartarus Press who do good quality reprints of Shiel's books although, sadly, The Purple Cloud is now out of print. The Bison edition of The Purple Cloud is still in print, I think. For more "name dropping" about similar writer's see my blog. 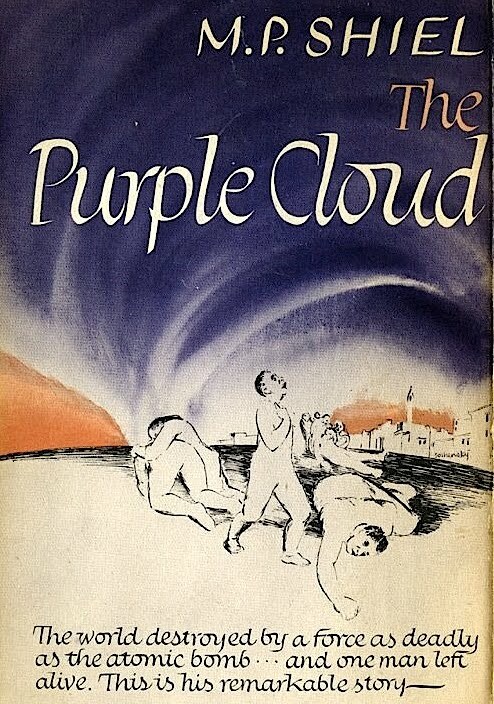 I wouldn't usually be so self-promoting but "The Purple Cloud" is included in my top ten best horror books and I've a link to Bookride on my page. I might also say that I don't believe that disagreeable content is any sound reason to dismiss a book, or any work of art for that matter, out of hand. By such reasoning, and it's an obvious and extreme example to be sure, no one would read "Mien Kampf". Point being: we needn't agree with or adopt the worldview of a particular writer or artist in order to appreciate or indulge in their work, no matter how abhorrent, in retrospect, it may be. Personally, although, by my own admission no racist, I find these so-called racist elements, although admittedly unsettling even distasteful, do, for better or worse, add a flavor of the period depicted: one alien to me. In my opinion anyway, Shiel's writing far outstrips Hitler's fantasy prose, in case you were wondering. I also would like to put in a good word for the Tartarus Press edition of this book. I read it first in the Warner Paperback Library edition, soon after picking it up not knowing what it was. It is a book that begs re-reading and, therefore, a more permanent copy for your collection. Although out of print, the Tartarus Press edition can still be obtained for reasonable sums. You might even contact the publishers directly via their website, who knows? they might have a copy left kicking around. Re Alison and Busby paperback. 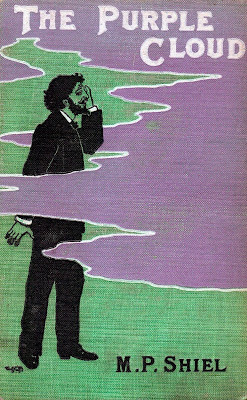 First clue is HP Lovecraft was 11 in 1901--second clue will be the ISBN number (came in about 1969). Third is that you can buy the book for 100th of your low price on Amazon, ABE etc., Go to the bottom of the class!